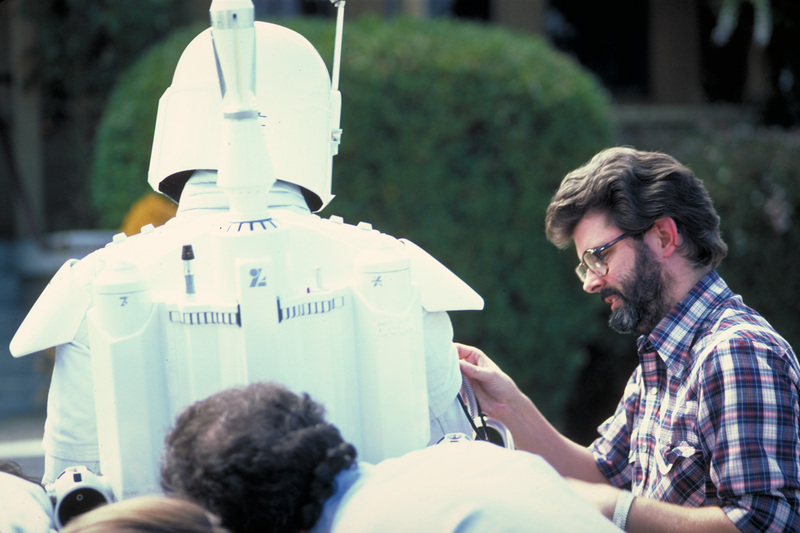 As Star Wars Collectible fans, we’ve always been captivated by the possibilities of what could have been. 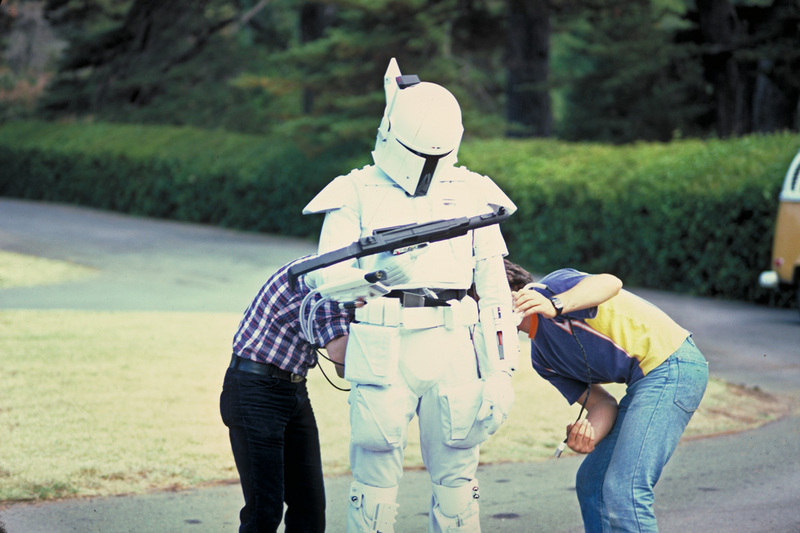 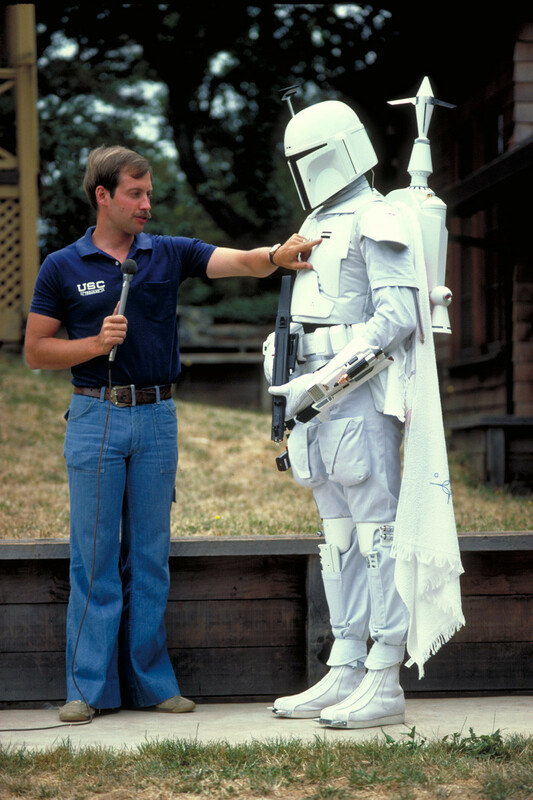 In this rare footage from the Star Wars archives, sound designer Ben Burtt hosts Boba Fett’s first reveal to George Lucas and company at the filmmaker’s home on June 28, 1978 for the upcoming Star Wars: Episode V – The Empire Strikes Back. 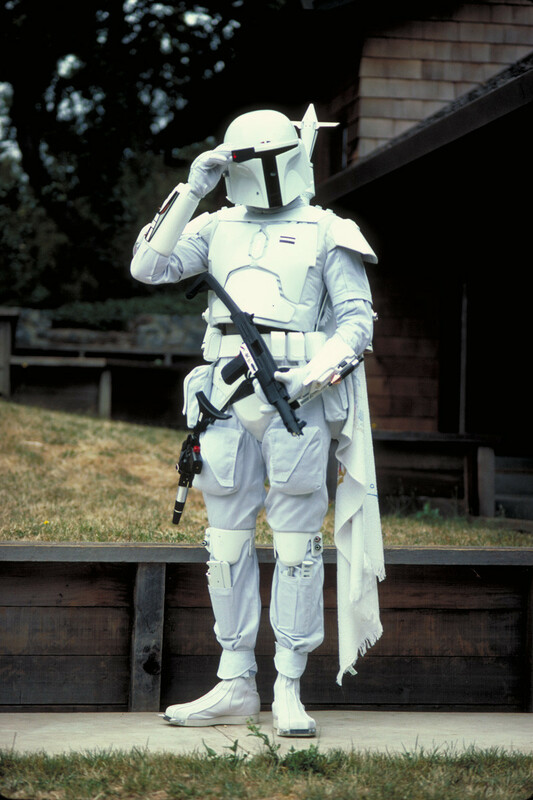 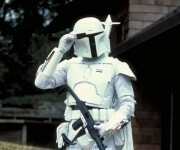 The striking all-white prototype armor reflects the character’s initial concept as a “super trooper” before he evolved into the bounty hunter he is today. 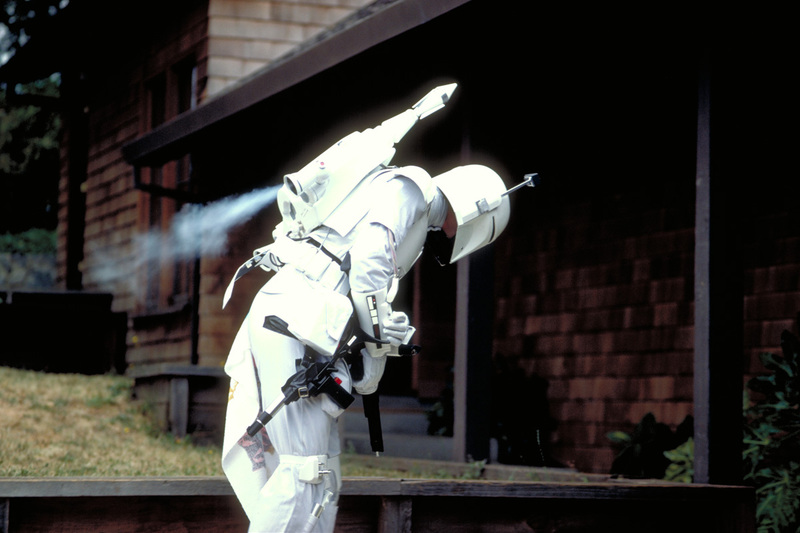 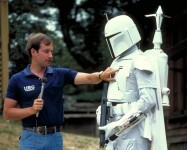 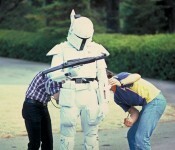 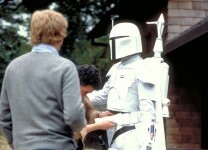 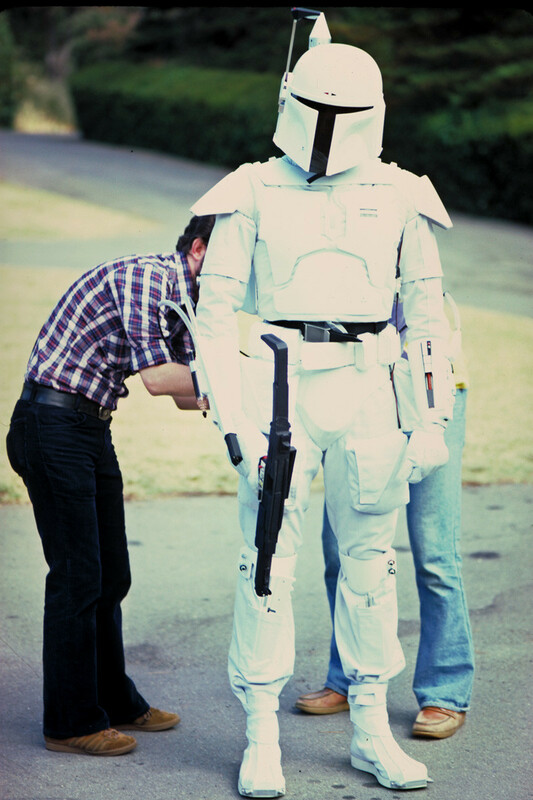 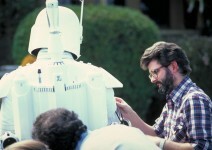 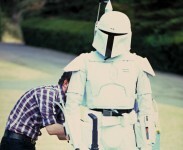 Designed by Joe Johnston, and worn by Empire‘s assistant film editor Duwayne Dunham for the test, Burtt explains ‘proto Fett’s’ unique weapons, functions, and characteristics. 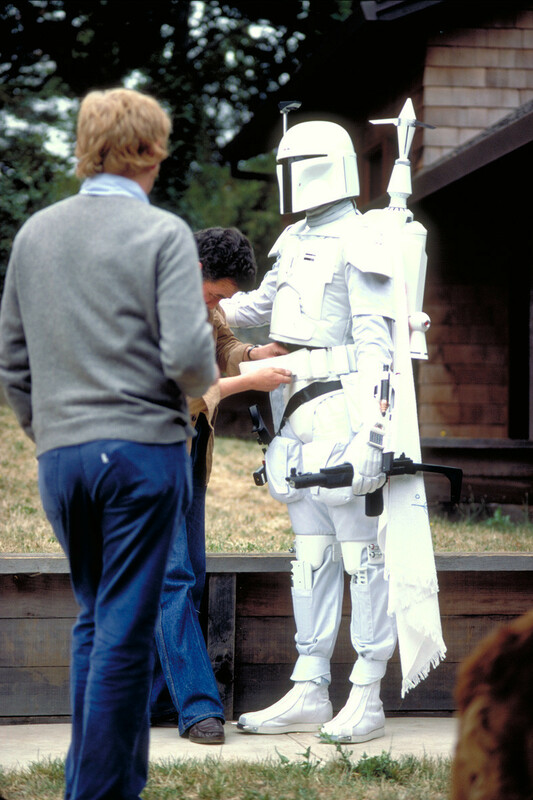 Commemorating this insight into the making of Star Wars, the Sideshow development team is excited to share a first look at the Boba Fett Prototype Armor Sixth Scale Figure – our tribute to the Mandalorian that could have been.